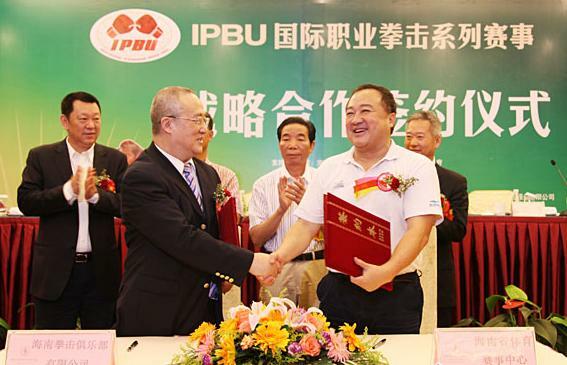 Hainan will host a series of international professional boxing champions this year as a strategic cooperation agreement between Hainan Boxing Club and Hainan Sports Center was signed on April 10. According to the report, Hainan Boxing Club has been authorized by International Boxing Union to host the 17 competitions to crown men’s and women’s boxing championships of each grade. By then, about 1,000 fighters from all over the world will have strong rounds of competitions during the championships. It is a good beginning to step up in helping to build Hainan into the boxing center in Asia with the introducing of foreign boxers and the training of local boxers into the stage of the international boxing events. The exciting Intercity Boxing Combat between Macau and Hainan will be one of them to be held in Macau in June in addition to the IPBU Championship and WBO Intercontinental Boxing Championship.